This short novella about music, family, and business in contemporary China is an alluring introduction to Ge Fei, a novelist of subtle peculiarity and intrigue. The narrator of The Invisibilty Cloak is an audio engineer who builds sound systems for unworthy clients. His customers will never understand the depths of true audiophilia, like the joy of letting a nineteenth-century Hérold opera wash over you through a warmed-up amplifier and hundred-thousand yuan speakers. 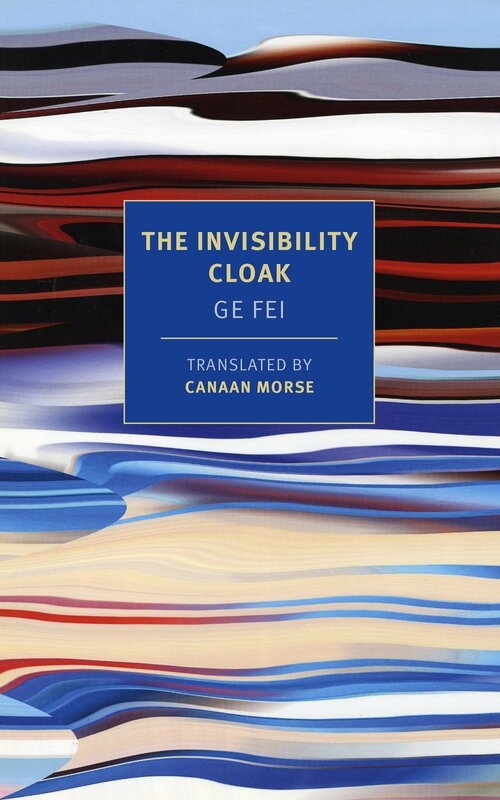 But with a Murakami-esque commitment to his esoteric hobby (and a substantial helping of didactic technical asides) Ge Fei’s narrator makes a lonely sort of living. Recently divorced and still struggling to find his footing as a single man, the narrator is surprised to receive an eviction notice of sorts from his sister and her husband: citing marital complications, they can no longer provide him lodging. Down on his luck, his future brightens as the novella takes a convenient turn: the narrator’s childhood friend, Jiang Songping, is a successful businessman who passes on a potentially lucrative tip. I’ve recently made a new friend. What he does, where he’s from, I have no idea….He told me I absolutely had to help him acquire the highest-quality sound system in the world. The more extravagant, the better. Obviously money isn’t an issue…the first person I thought of was you. The story slips briefly into the world of organized crime, money loans and unrequited promises as the narrator assembles an extraordinary system for the enigmatic Ding Caichen. He sources hardware from dealers all over Asia, often from questionable sources, and even pillages some rare pieces from his own collection. The story plods along with a curious straightforwardness until it finally reaches a strange and perfunctory, albeit quite beautiful, conclusion. There’s not much more to the story of The Invisibility Cloak, but a deeper reading is there, hiding under its surface. 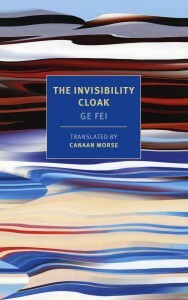 It is in these depths that Ge Fei is secured as a new author to watch: while The Invisibilty Cloak is a fleeting 125 pages, it possesses a quiet elegance that will lure readers back to future translations of the author’s other works. To the narrator, music functions as a sort of societal equalizer, capable of breaking through the murkiness of contemporary China’s expansive economic divides. He boasts that the sound of his stereo “was like seeing a young, beautiful woman right after she wakes in the morning, face fresh and unwashed, free of make-up.” It made him feel as if he “had no business enjoying this luxury in such a polluted, chaotic world,” and gave him “an illusion of hiding in the quietest corner of the deepest place on earth.” The narrator discovers that it’s not money that brings on these feelings (those who can pay for his rare setups consistently lack the ear for what they bought) – but it’s the music itself, the Satie, the Mozart, the Beethoven. And that music is available to anyone regardless of their income and social stature. With music, one can see beyond the world’s makeup, beyond its pollution, and disappear under its sonorous cloak.